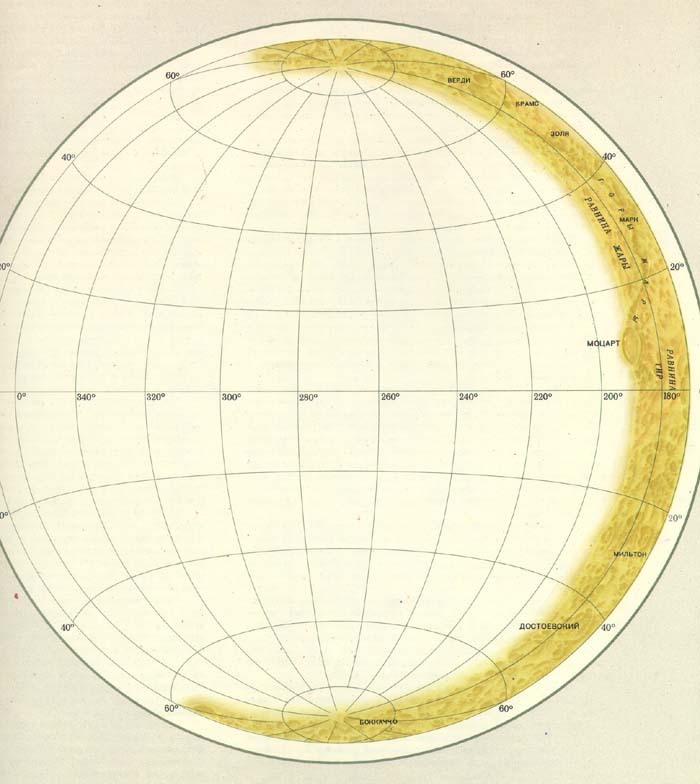 In other translations: Atlas of terrestrial planets and their moons, MIIGAiK. 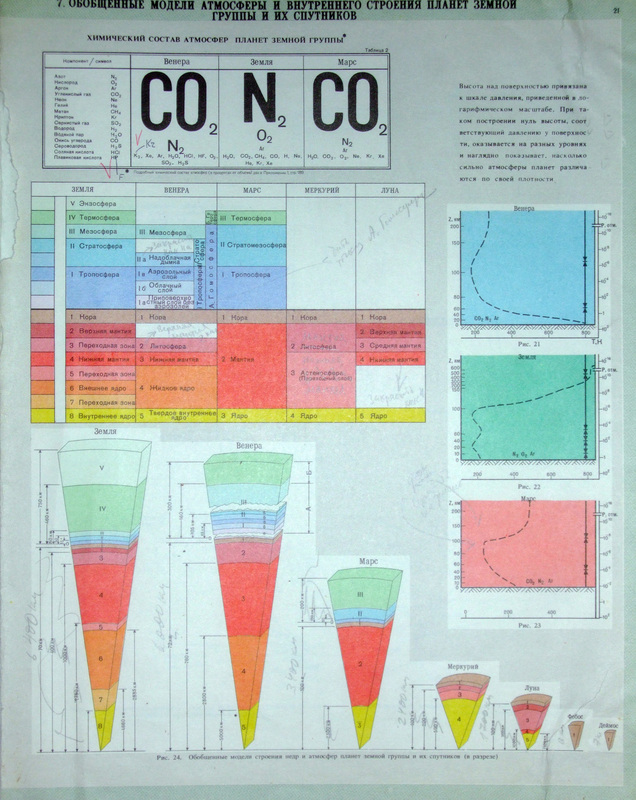 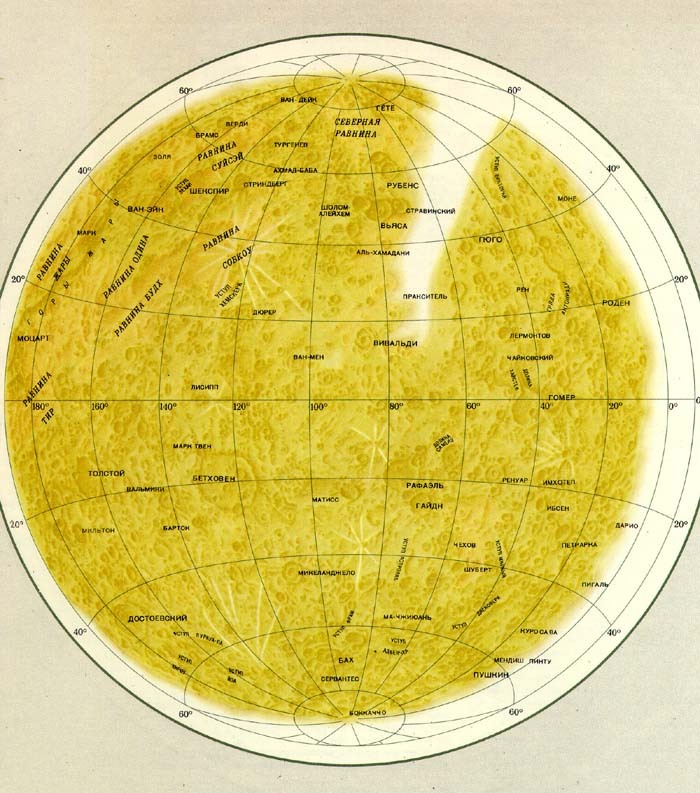 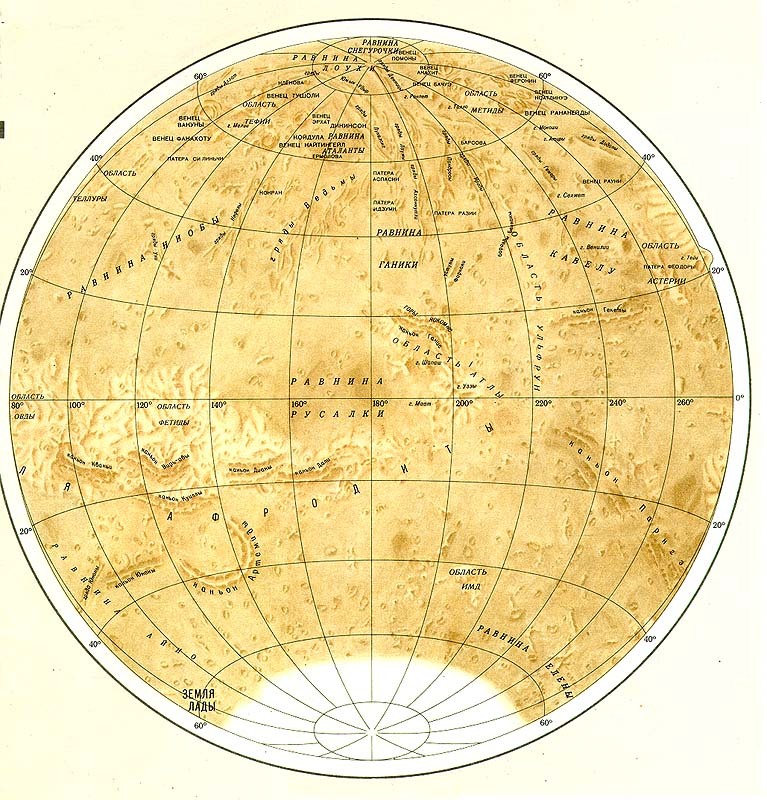 The Atlas included more than 70 maps and map-diagrams and it was the first attempt to present the existing information in the comparative planetological aspect. 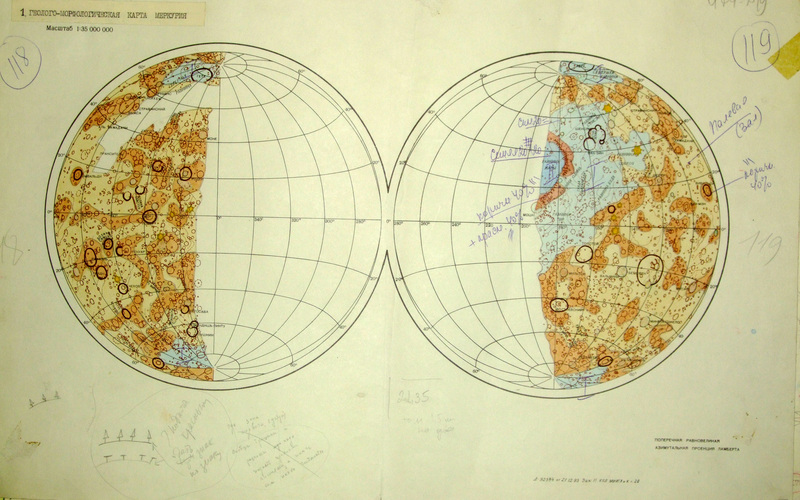 The works for the Atlas had been started in 1980, and it was finished by 1990. 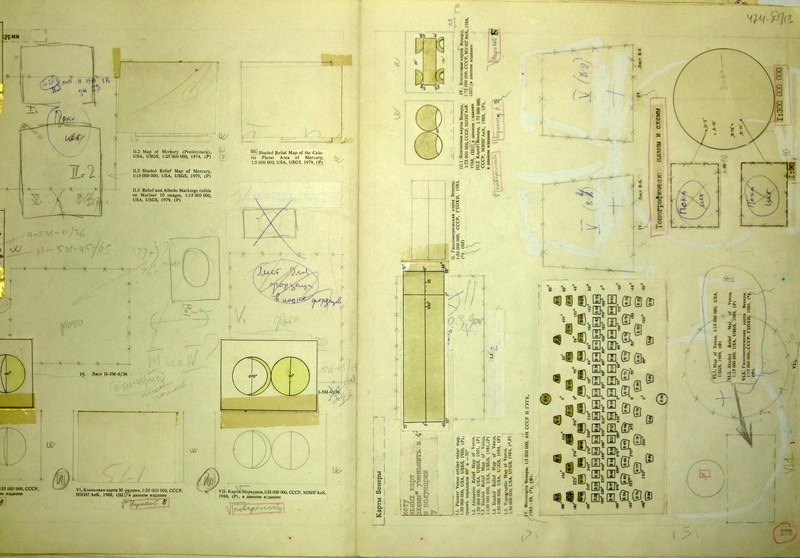 Preparation for publishing took 2 additional years. 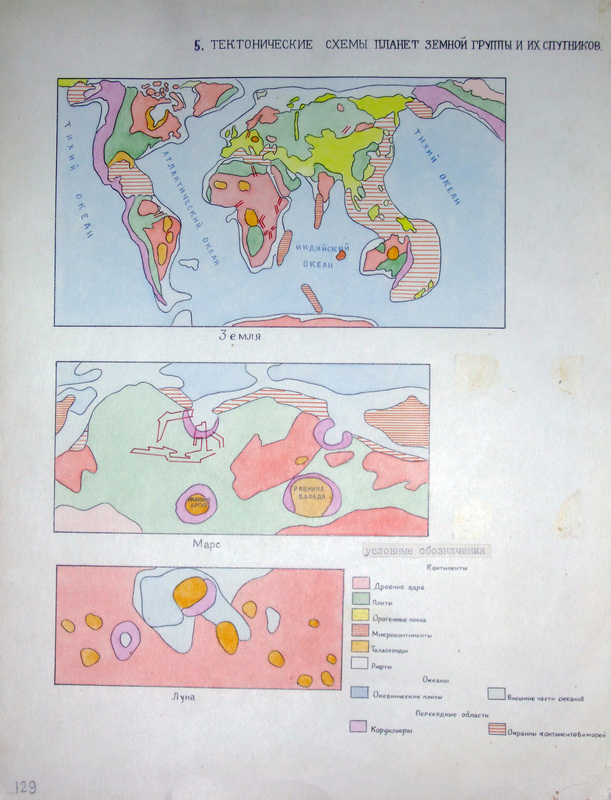 The preparation can be divided to several parts.In the first part students has made maps as diploma works. 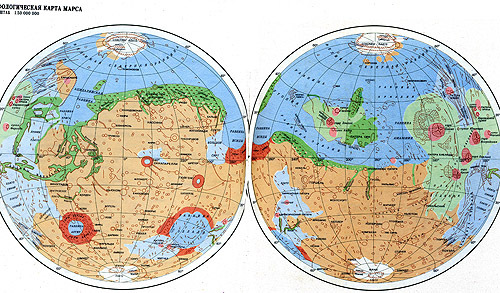 It was followed by corrections, and then the same maps has been prepared by 2-3 professional cartographers from the Graphics Department. 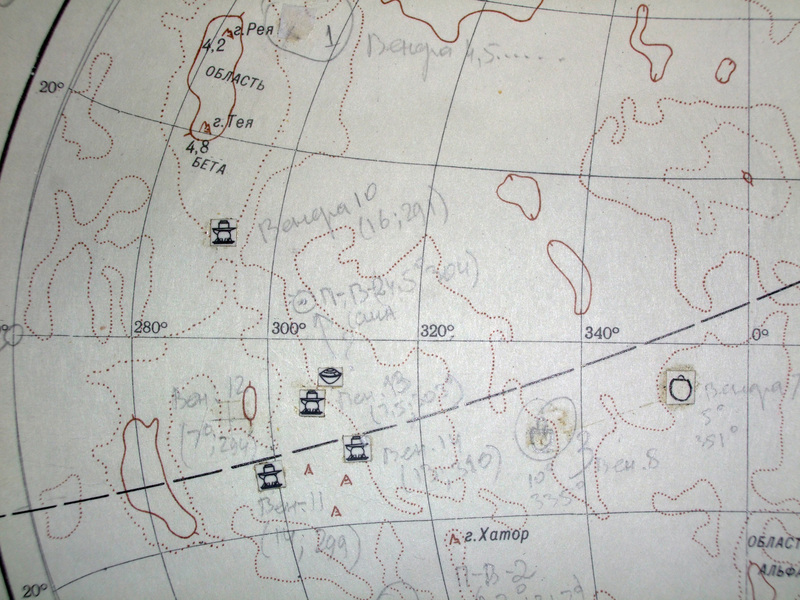 Kira Shingareva preapred the a mockup. 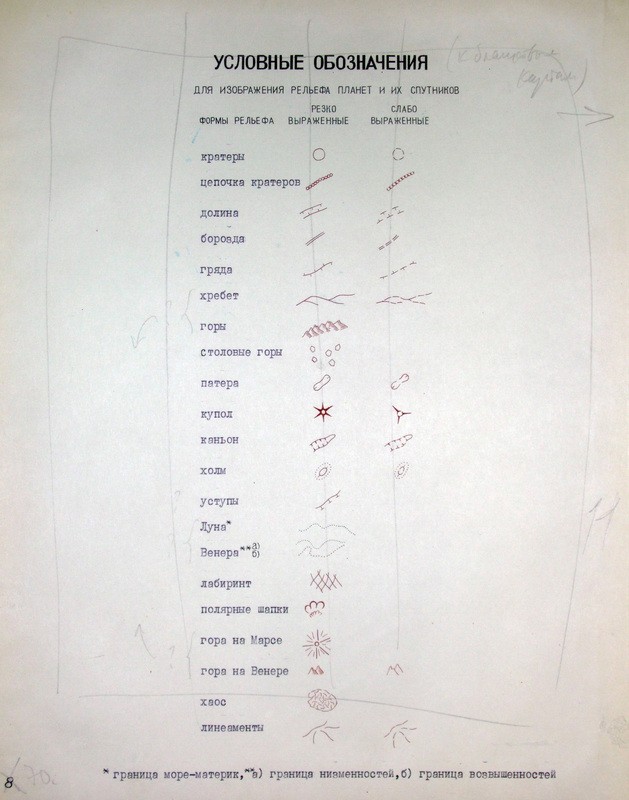 In the next stage scientists in their fields were asked for writing the appropriate accompanying texts (the text were mostly written by K. B. 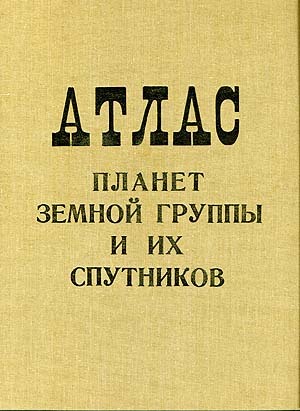 Sh.). 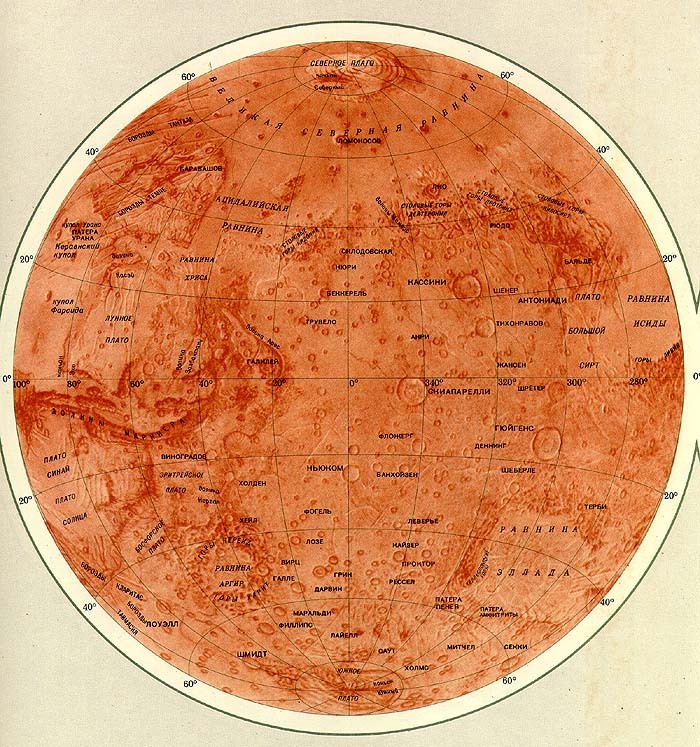 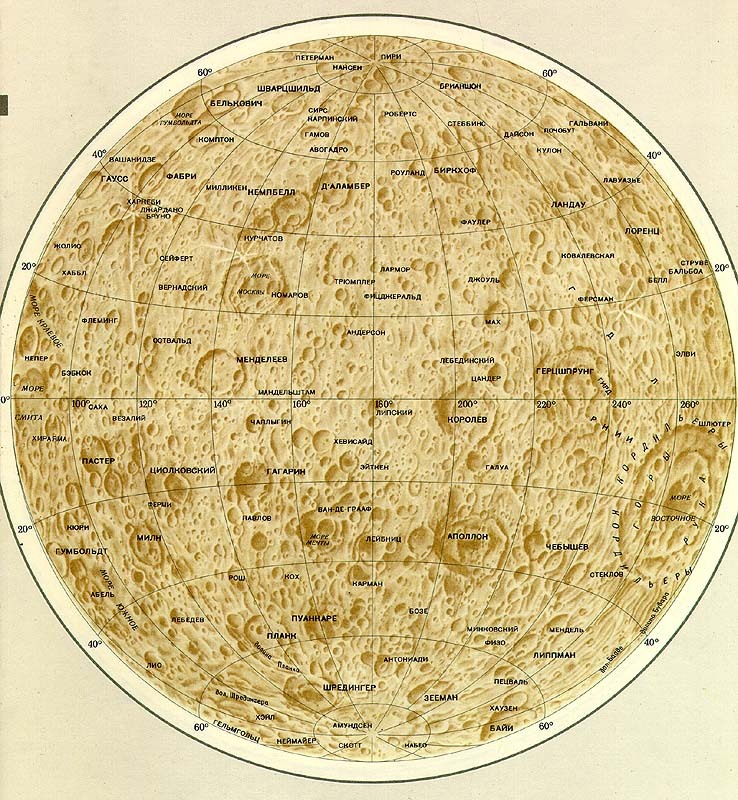 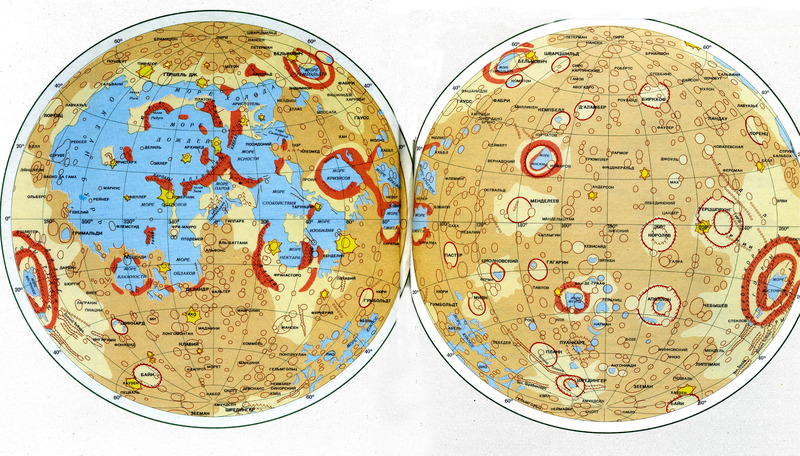 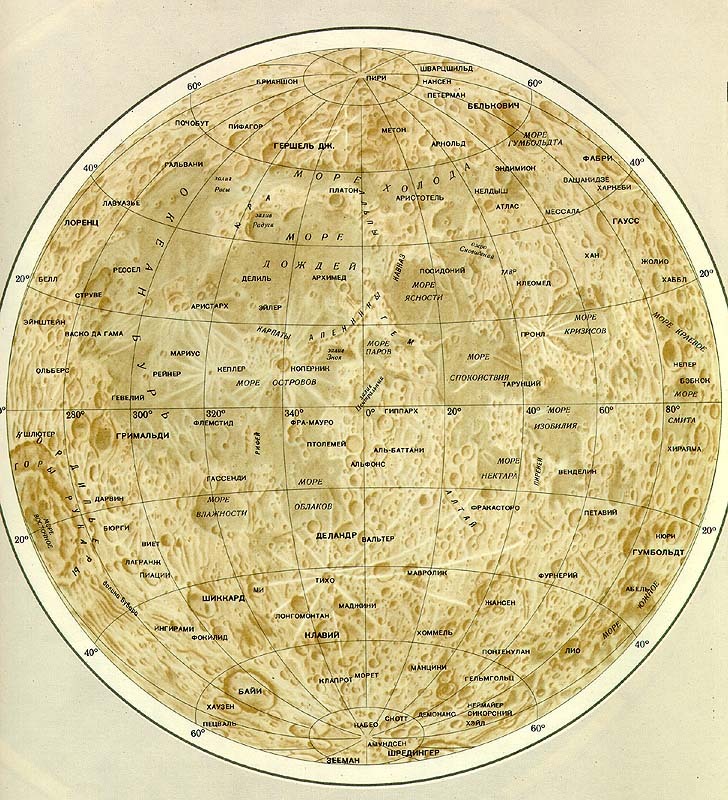 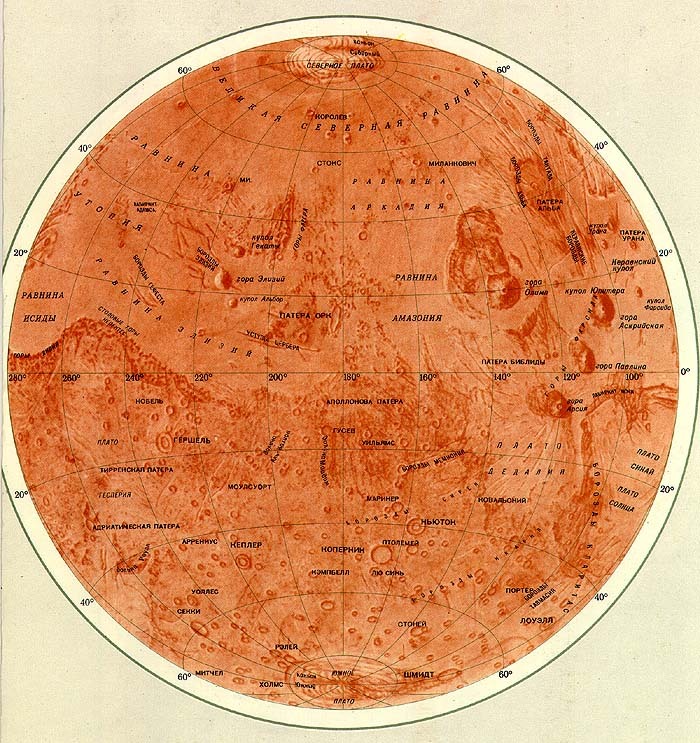 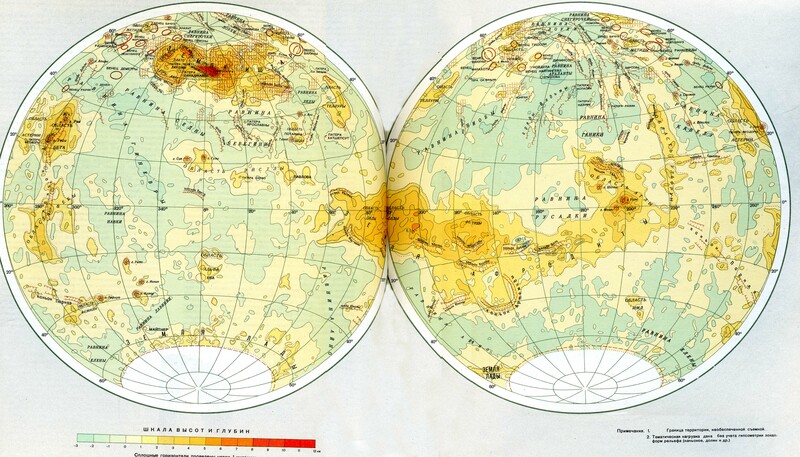 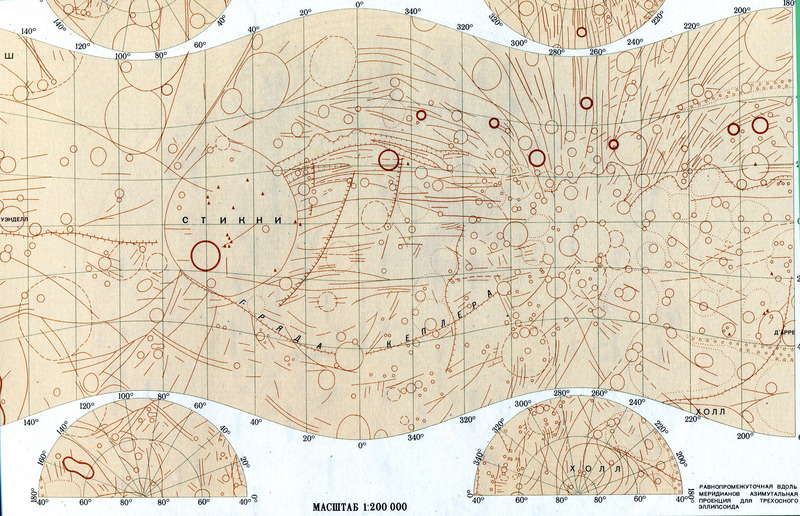 A speciality of the Atlas is its Map of Mars: Bugaevksy made the Phobos map projection of 3-axial ellipsoid. 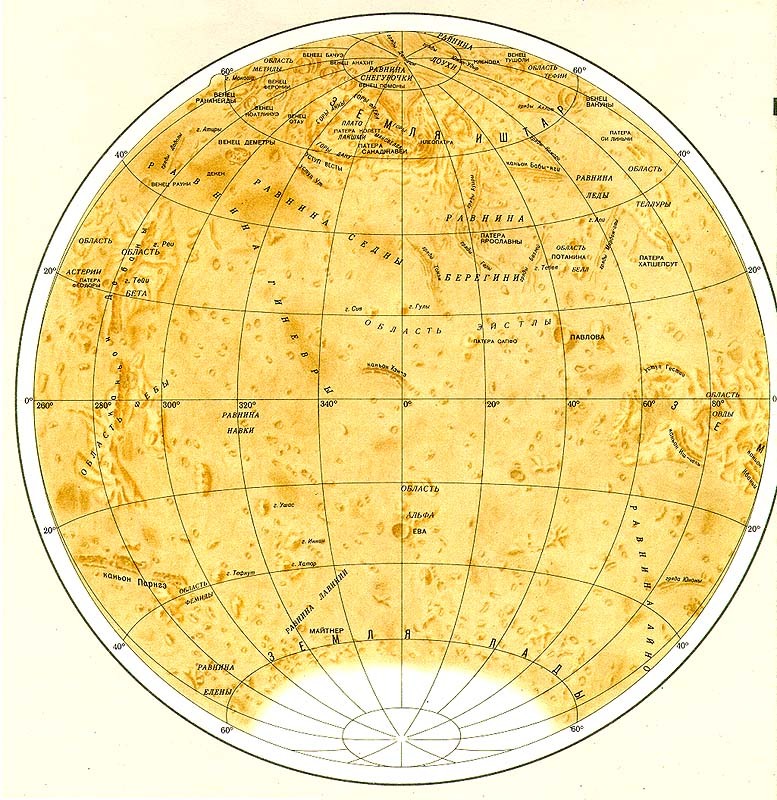 It was for the 1st time, for this atlas, that such projection has been developed. 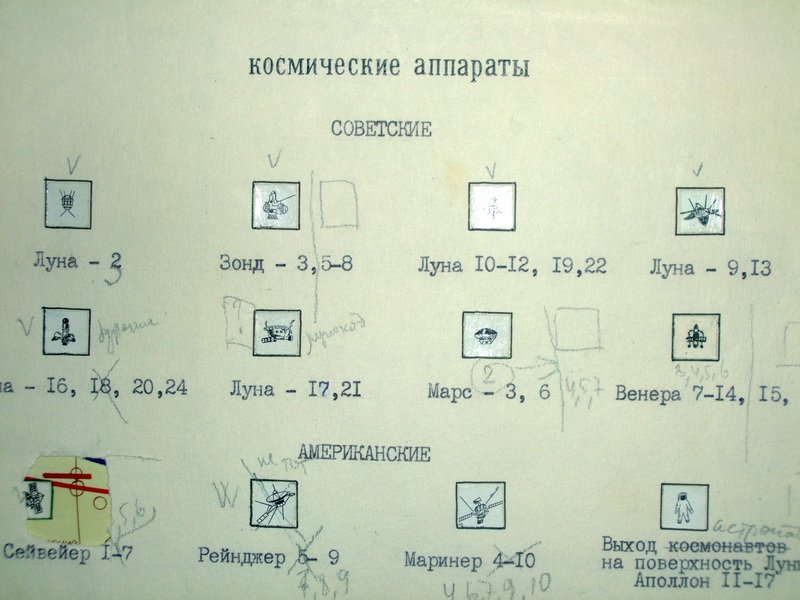 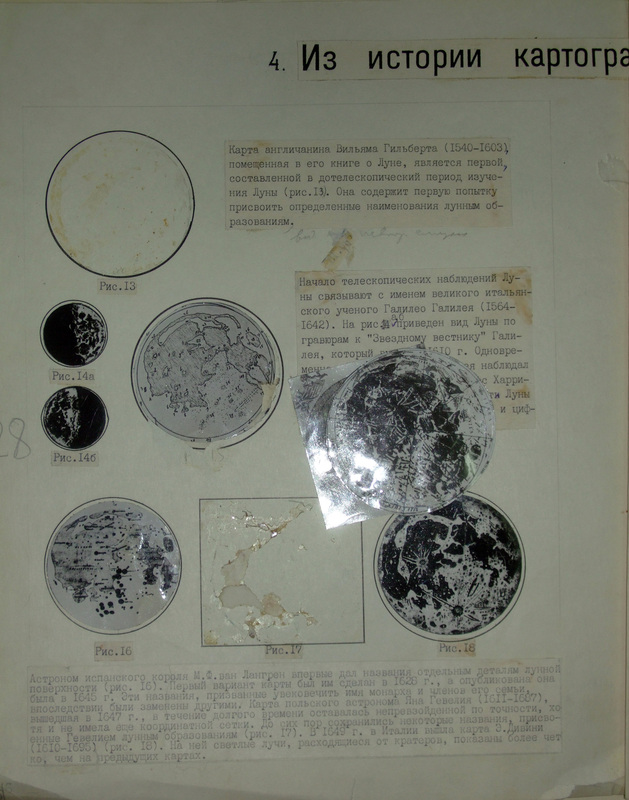 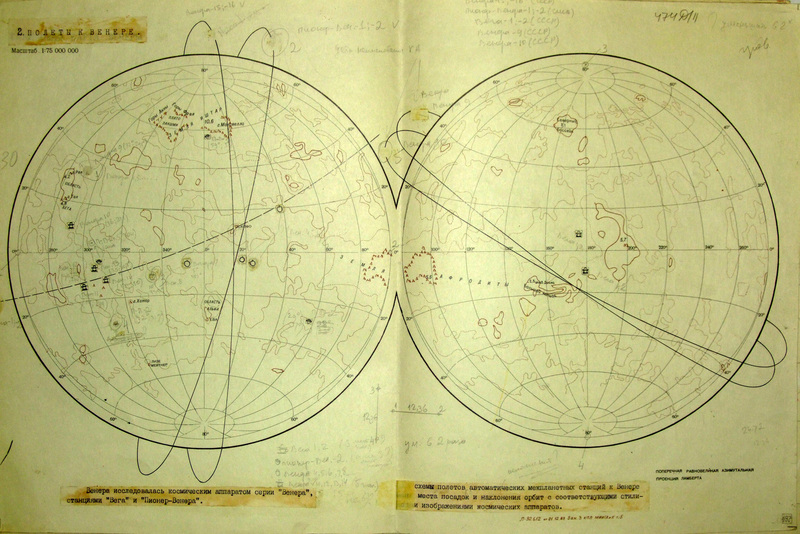 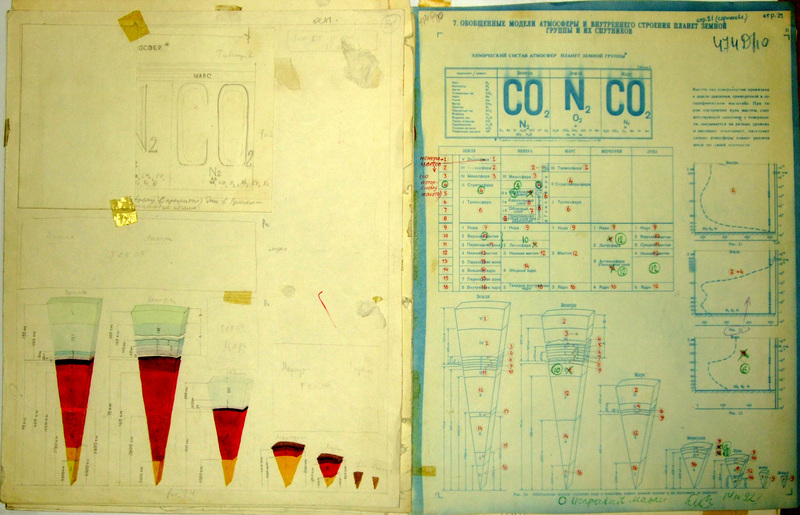 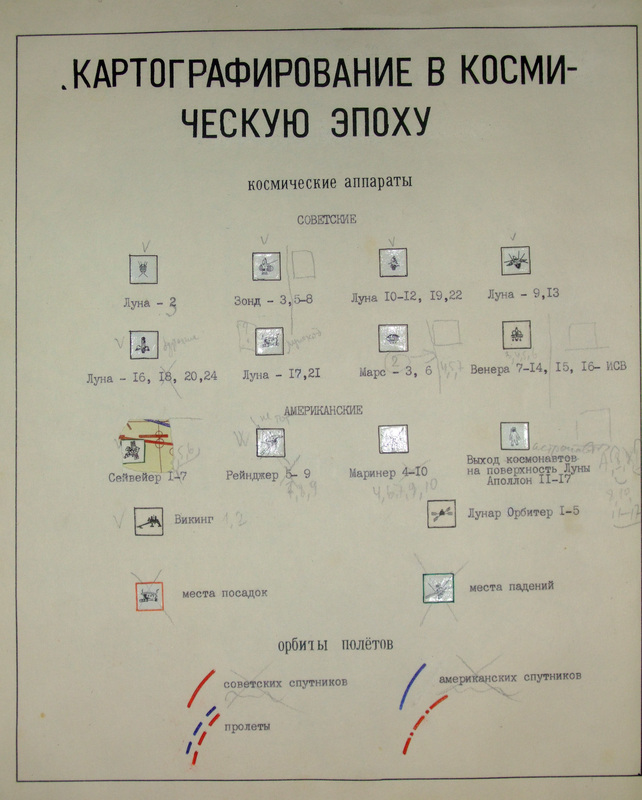 Mockups (manuscripts) of the atlas (1980s), Moscow.